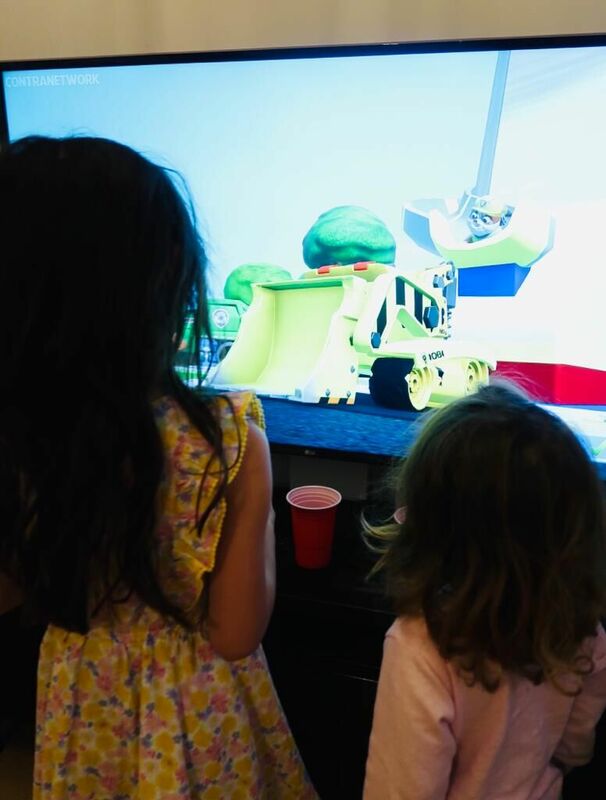 We are hosting a Paw Patrol Party to celebrate the new 'Paw Patrol On A Roll' computer game by Outright Games. You can join in with the party on Twitter from 1pm on Friday 30th November by using the hashtag #PawPatrolOnARoll. We were sent an amazing box filled with everything we need for the party. It included plates, cups and a tablecloth. There were party bags and treats to go in them. 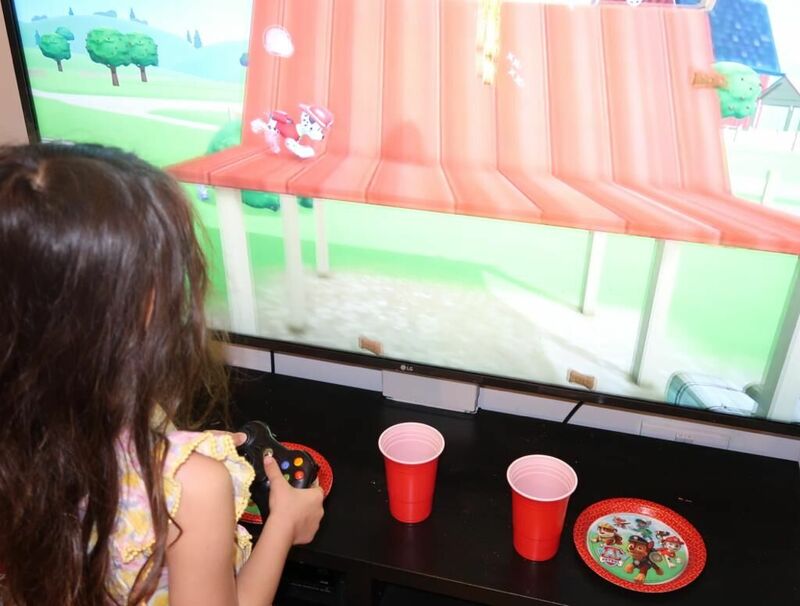 There was also craft style party games, Paw Patrol frustration (a personal favourite game of mine), a puzzle and of course the computer game itself. Eva literally squealed with delight when she opened the box and Ophelia couldn't stop shouting it's Paw Patrol. Paw Patrol on a roll is available for Xbox one, Playstation 4, Nintendo Switch and a PC. The game features all of the beloved characters from the TV show who are ready to save the day on 16 exciting missions around Adventure Bay. I was worried Eva would struggle with playing the game as this was her very first experience of using the Xbox but the gameplay is very easy to follow. Each mission is split into 2 parts which require two of the pups to complete. The pups have to collect hidden treats which are gold paws and bone biscuits. I think it's a great idea using 2 of the characters for each mission as it helps to keep your child's attention. It certainly kept Eva hooked. Throughout the gameplay, Ryder pops up on screen to give instructions, hints and tips. The graphics are quite impressive. There are no baddies or anything worrying for children to come across which I think is good seeing as the game is aimed for children around 4 and up. If you're happy for your kids to watch the TV show then you'll be more than happy for them to play the game without any cause for concern. My only downfall would be that I think each mission is quite long. It did seem to take a while for Eva to finish one to be able to move on. Overall, both of us were impressed with the game. It's easy to follow for children and is fun for them to help their favourite characters on actual missions. Fans of the show will love this game. Paw Patrol On A Roll is available to purchase at Smyths, Argos, Amazon and game and is very reasonably priced. 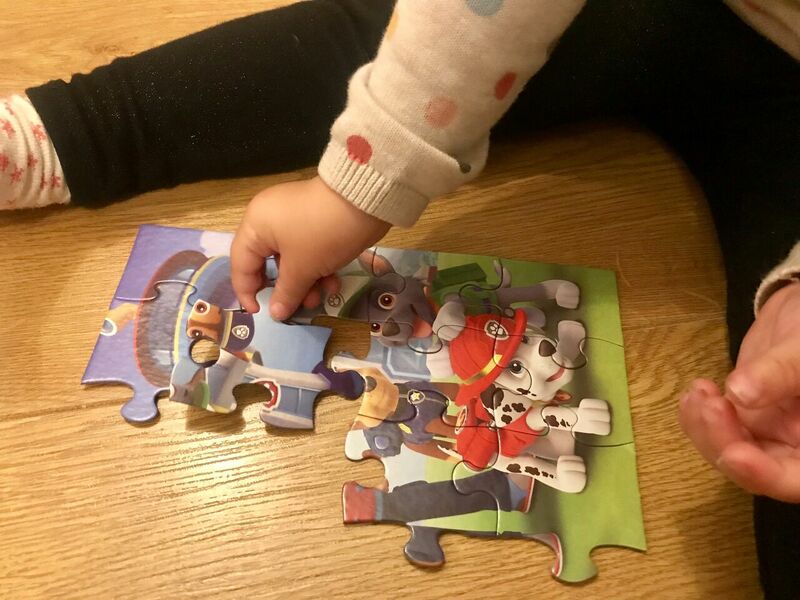 If you'd like to get a copy of Paw Patrol On A Roll in time for Christmas then come and join in with the Twitter party on Friday 30th November 1-3pm. 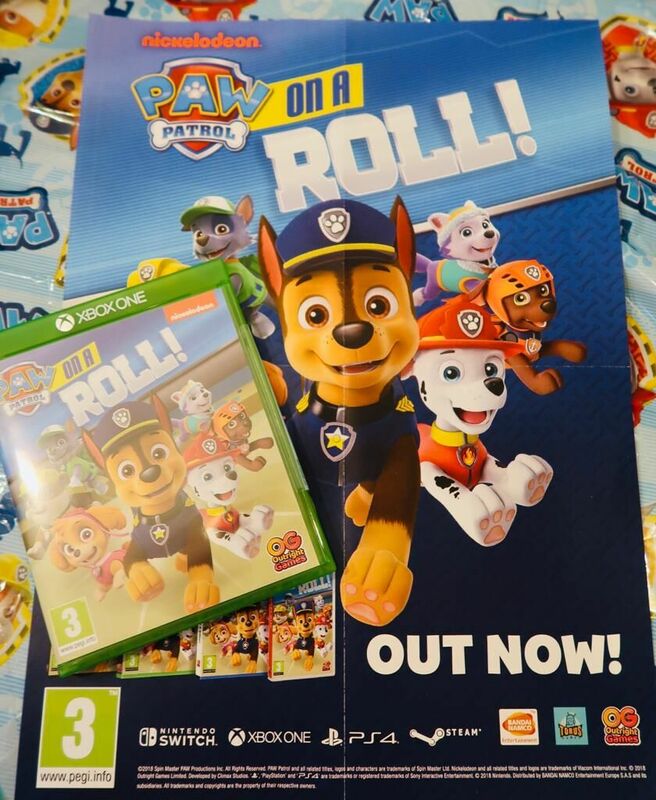 Make sure you tag @outright_games and @ukmumstv and use the hashtag #PawPatrolOnARoll in any tweets.